Any form of casting will tend to produce some flash. These extra bits need to be removed from the parts during the finishing process. In the case of the open top molds I am using, that flash tends to be at the top part of the mold. 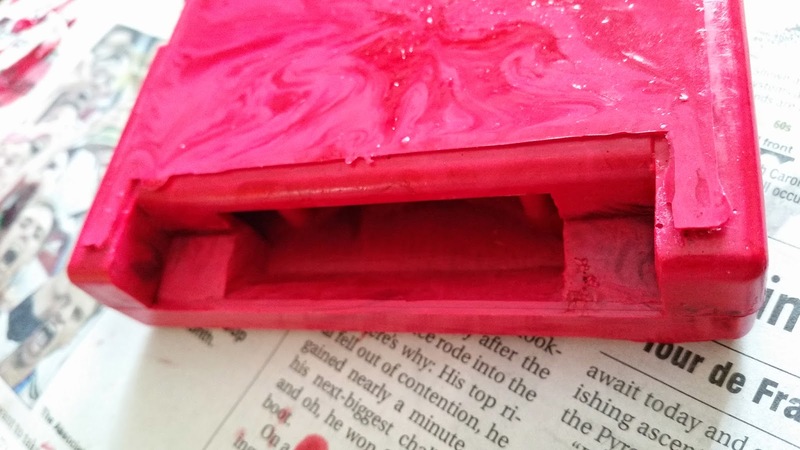 Since it is difficult to make the pour fill the mold exactly with no overflow, the top tends to get an extra bit sticking out around the mold opening. 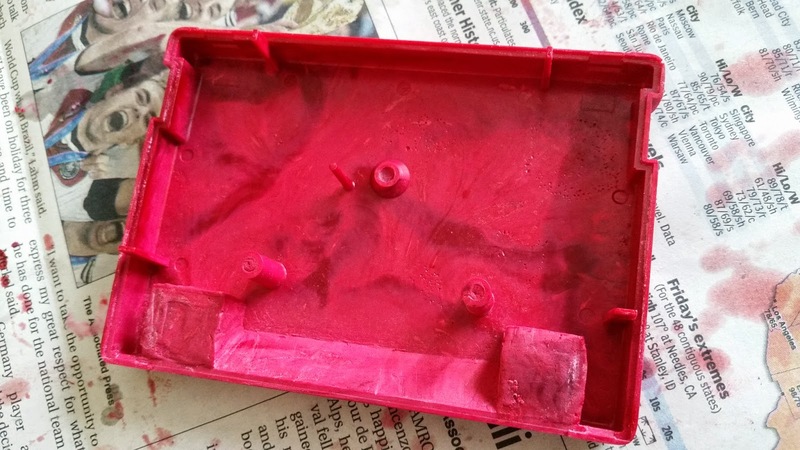 In order to remove the extra bits, I have used a sanding sponge. 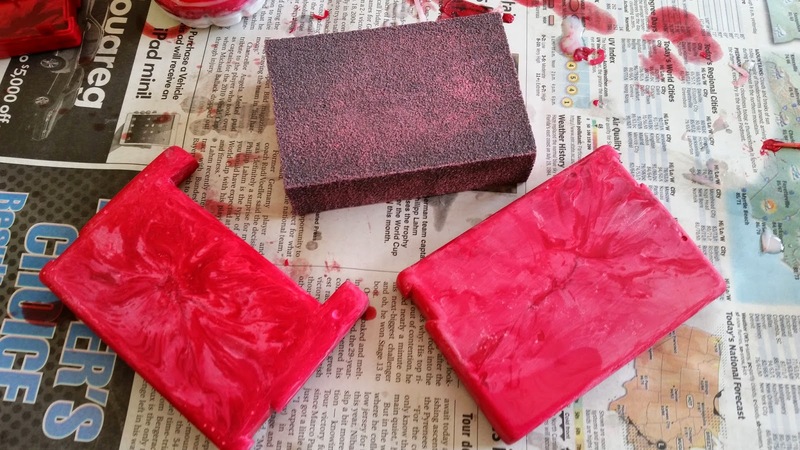 This is like a soft sanding block with the sandpaper already applied. 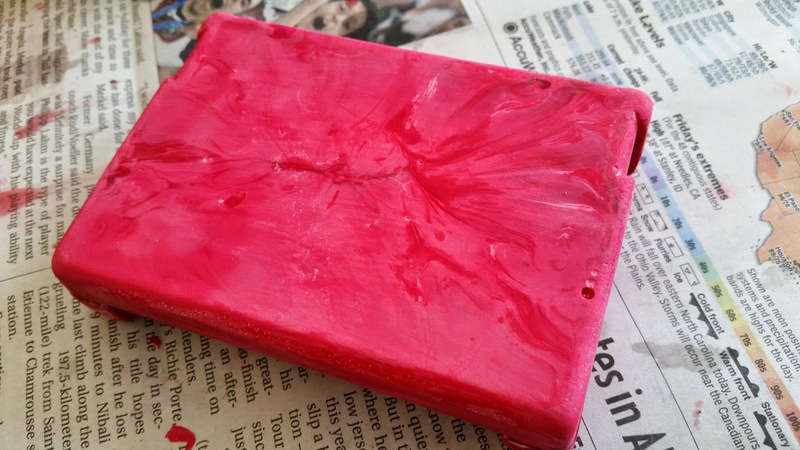 They are convenient to use and easily adaptable to sand around corners and such. The downside is the manual labor. 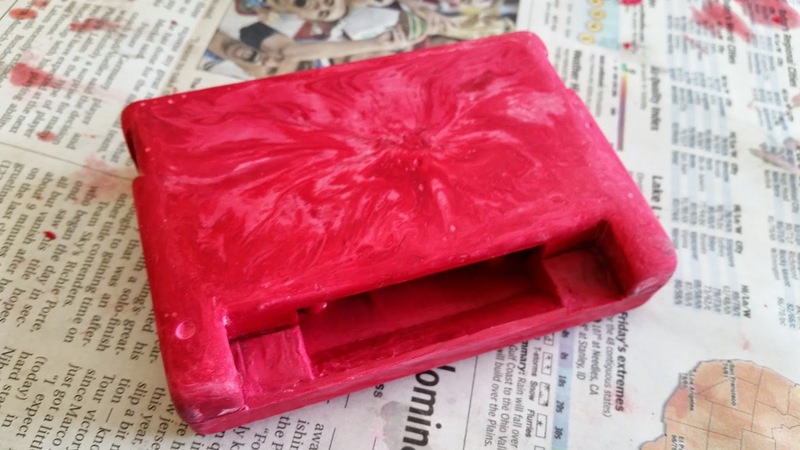 If I produce cartridge cases in quantity, I'll probably need to get a belt sander or some other labor-saving device. Anyway, the sanding does remove some detail. Fortunately, what we are talking about is basically just a plastic box anyway. 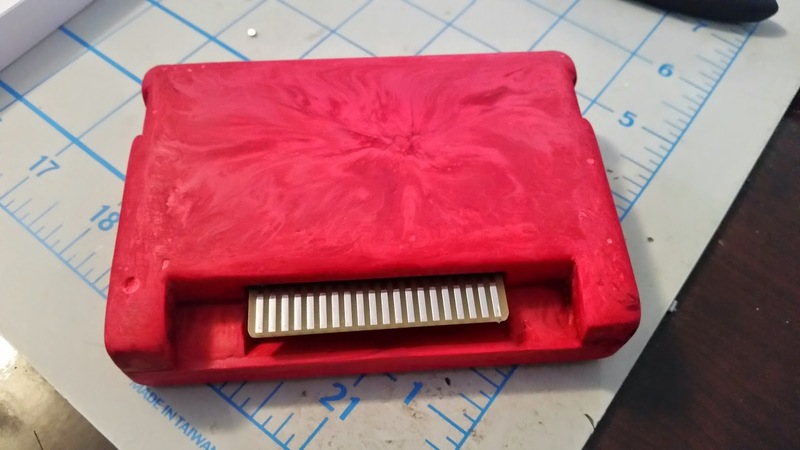 Besides, the rounded edges that result from the sanding have a nice "feel" in the hand, and they look a little more "hand crafted" than the injection molded cases from Tandy. Or, maybe they just look "hand made", but that is still good enough for me. I certainly hope that you agree! 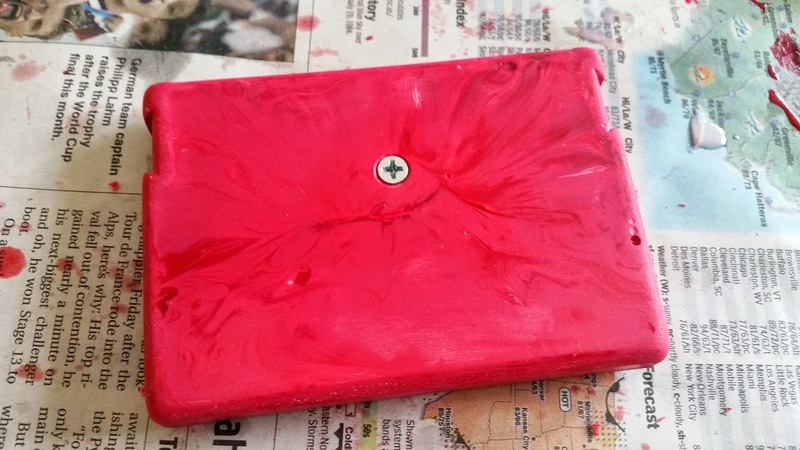 Whether they look "custom" or just "hand made", the cases are no good without fasteners. They need a screw to hold them together and a couple more to hold the PCB for the game ROM. The holes are, of course, made with drill bits. In this case, the plastic is soft and a little precision is required. 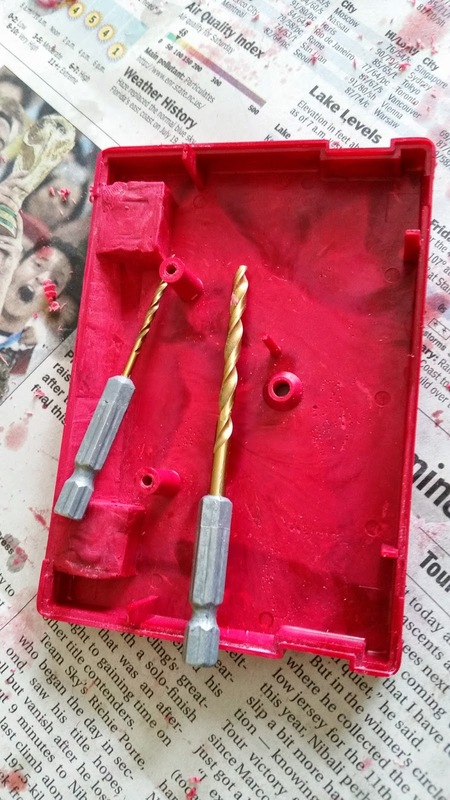 So, I turned the drill bits by hand with just my fingers. 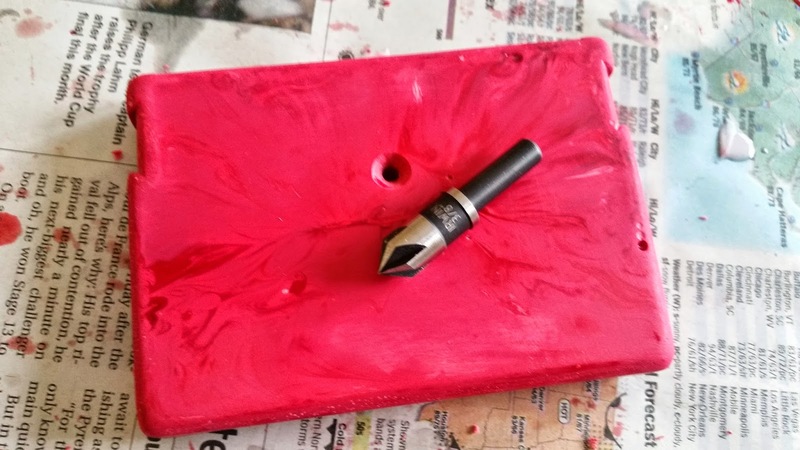 I used bits with a hexagonal shank designed for use with one of those "quick change" drill attachments. The hex shank gives a little more room to grip the bit and makes it a bit easier to turn by hand. Also, on the top a countersink bit is used to allow the main screw to be driven all the way into the case body. The holes are filled by some small screws. Using the screws from an original cartridge as a guide, I went to a local hardware store and found some that were approximately the same. 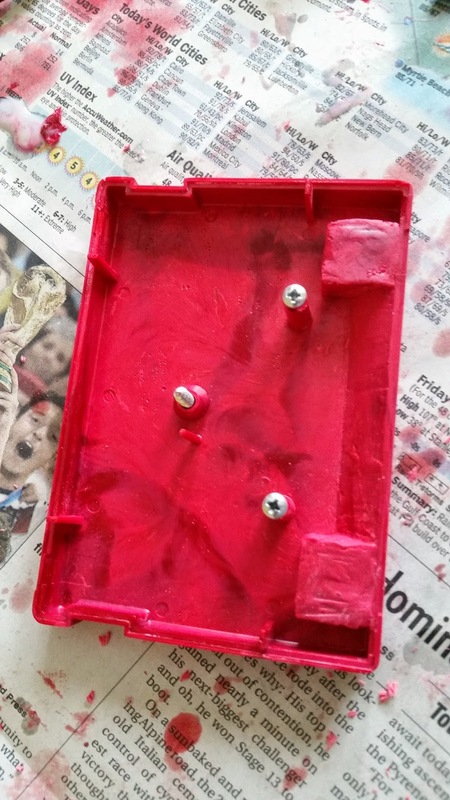 The holes are drilled to match the inner diameter of the screw bodies, and the threads of the screws tap into the plastic as they are driven into the case. The whole point of having this case is to mount a PCB to hold an EPROM programmed with Fahrfall. Fortunately, a design is available for such a PCB, and I was able to have a batch of them manufactured by Hackvana. I will address the board design, production, and assembly in a later post. The PCB is held into place by two screws. A third point of contact is provided by a plastic column molded into the cartridge case itself. This column is one of those parts of the mold that causes problems when casting, since air easily gets trapped in the small cavity representing it. The toothpick mentioned in the entry on casting happens to fit this hole perfectly! 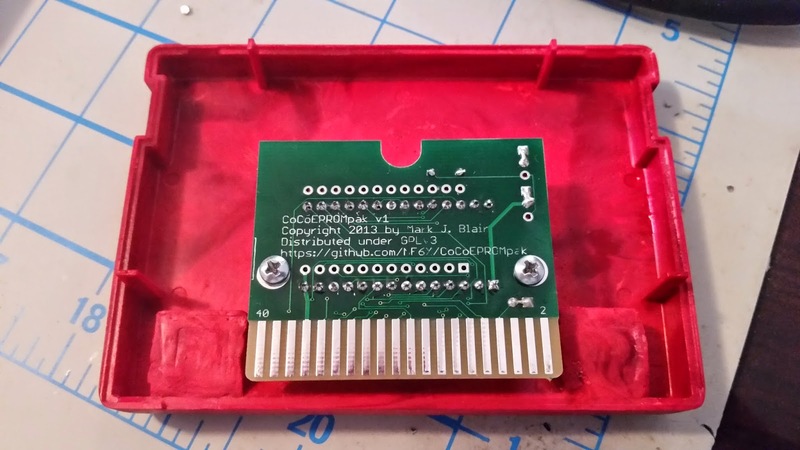 Anyway, this third point of contact helps to keep the PCB aligned to connect properly when the cartridge is plugged into the CoCo.